I recently had the opportunity to work with an advertising agency by the name of CP+B on a really fun project. 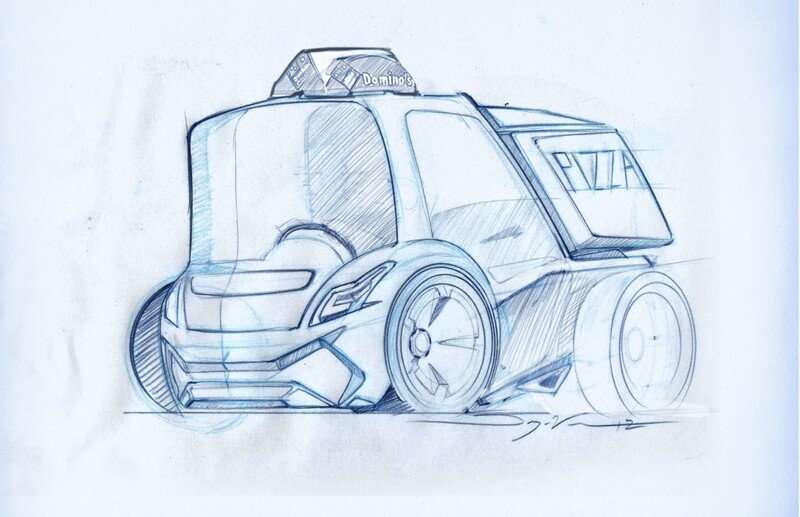 Domino’s Pizza is running a contest with Local Motors to create a creative pizza delivery vehicle. 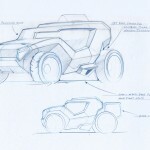 For the campaign they need some quick sketches done of various vehicles for the campaign. They also needed someone to draw while being recorded. CP+B found me on you tube and asked if would be interested and of course I said “yes!”. 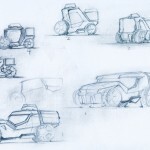 So I had two weeks to produce twelve concepts of various vehicles and it needed to be done with traditional materials. 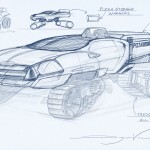 They specifically wanted me to use blue pencil to give it that blue print style look to all the drawings. The campaign has officially launched now and anybody can participate. I thought I would show you a little behind the scenes peek of what went into my part of the campaign. So I started out with really rough thumbnails according to the brief I was given. So I explored everything from really extreme to practical. It was a very fast project but a very fun one to say the least. 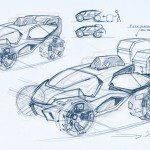 If you start the video at around 0.42 you can see my hand come on the screen and draw one of the concepts. 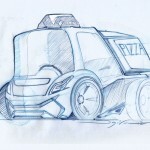 Local Motors and Domino’s design contest. 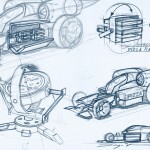 So to start my initial designs I did use digital media with my 21UX and Painter 12. 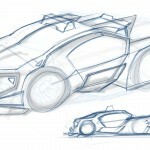 I do this because I can crank out the thumbnail sketches very fast with the digital media. Then after receiving feedback on the initial roughs I moved into the traditional media using non photo blue Verithin pencils then darkening the sketches with an Indigo Blue Prismacolor. It was really fun to work with traditional media again. For the paper I just used a translucent rag from Bienfang. It was an old large sketch pad I had cut in half back when I was using a lot of traditional media. 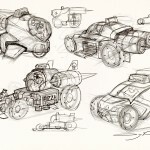 Then there are several sketches that were not used in the campaign and you can see a few of them here in the gallery.